IdeaPark - Sentier d'idées | It’s Alive… Or Is It? It’s Alive… Or Is It? Students develop and apply the skills of comparing and contrasting, observing and drawing conclusions as they investigate living and non-living things. It is not always easy even for adults to differentiate between living, dead and non-living things. Since scientists do not always agree on a definitive set of characteristics that delineate living from non-living, it should not be surprising that younger students have difficulty differentiating between living and non-living things. Developmentally, young children do not have an internalized understanding of life cycles (e.g., living things are born, live, and die) and so may believe that if something moves, it must be a living thing. By the same token, they may also believe that when something dies it becomes a non-living thing. This inquiry provides opportunities for students to more fully develop a scientific understanding of living (i.e., something that is or has ever been alive) and non-living (i.e., anything that is not now nor has ever been alive) things as they observe and compare and contrast examples of both, then use the information they gather to draw conclusions about the characteristics of living things. For young students, the following ideas should be discussed in a developmentally-appropriate way, to avoid creating misconceptions. “What are some things you’ve observed about this environment?" “What things do you see that are alive? What things are not alive? How do you know?" “What does it mean to be a human being? When you look at the picture of the human beings in the book, how do you think they are all alike? How are they different?" “Josephine says she is a living thing. When you look at the picture of living things in the book, why do you think Josephine says she belongs to this group?" “How can Josephine be a living thing, an animal, a mammal and a human being all at the same time?" Set up a fish habitat or terrarium (optional). Be sure to include some living (live plants, fish) and non-living (pebbles, shells or small rocks) things for comparison. Students develop and apply the skills of observing, comparing & contrasting and making conclusions as they investigate living and non-living things. Work in small groups to sort and classify picture cards according to whether they think the objects are living or non-living. Further sort and classify the living things group according to their own criteria. Educator asks questions such as “I notice you put the swan and the cat in the same group. What made you decide to do that?”; “You have put the giraffe and the dog in the same group. Could I add a picture of a tree? 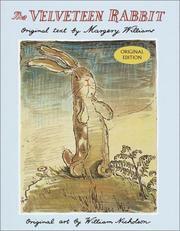 Why?” to help students understand that living things can be plants or animals (which includes humans). Some students may make a separate group for humans. Refer back to a book such as I am Josephine and I am a living thing to remind students that humans are also considered part of the animal group. This may become clearer as the group defines what it means to be a living thing. Share their thinking about how to know if something is living or non-living. Educator records students’ thinking and facilitates discussion as required. Determine criteria for classifying something as a living thing. Educator records criteria on a chart. 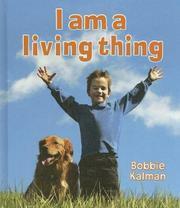 Listen to a book such as I am a living thing by Bobbie Kalman. Use this information along with prior knowledge to draw conclusions about what living things have in common. Make Connections - students use prior knowledge and information gathered throughout the Inquiry to draw conclusions about the characteristics of living things. Students sort and classify images according to whether they are living or non-living things. Students sort and classify images of living things using their own criteria. Students share their thinking about how to tell if something is living or non-living and make a list of criteria for classifying something as a living thing. Compare a variety of living things to the criteria. Draw conclusions about what all living things have in common. Some Indigenous peoples believe that the universe and all natural objects within the universe have souls or spirits. This belief says that souls or spirits exist not only in humans but also in animals, plants, trees, rocks, and all natural forces and phenomena such as the rain, sun, stars and moon. In most Indigenous languages, there are no animate-inanimate comparisons between things: all souls are equal to human souls.